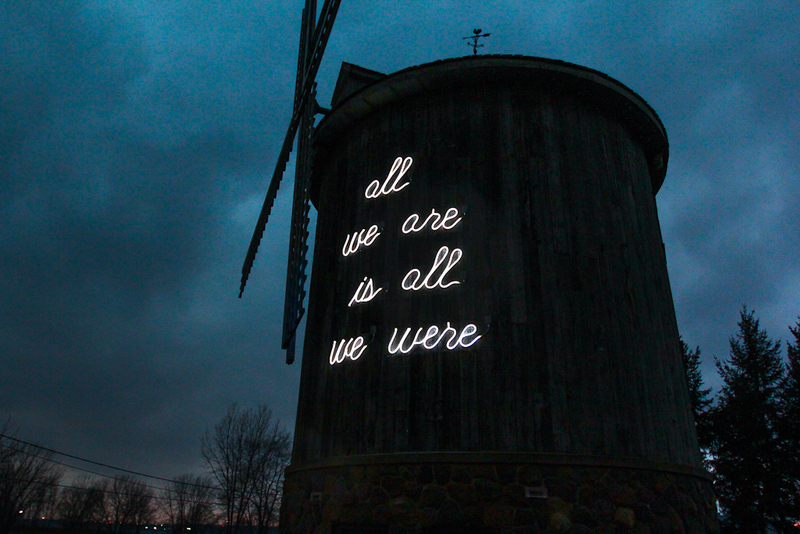 A new public art work located on the Sandwich Windmill at Mill Park in Windsor, Ontario, commissioned by the City of Windsor and Windsor Community Foundation 1812 Legacy Project. This work was also made possible with the assistance of Danielle Sabelli and Hiba Abdallah. Special thanks to Cathy Masterson, Heidi Baillargeon, and Tucker Electric.